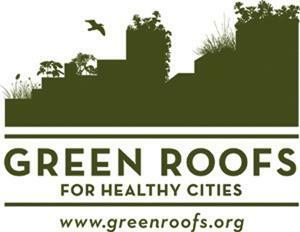 Park of Reflection - Henry Kortekaas and Associates Inc. 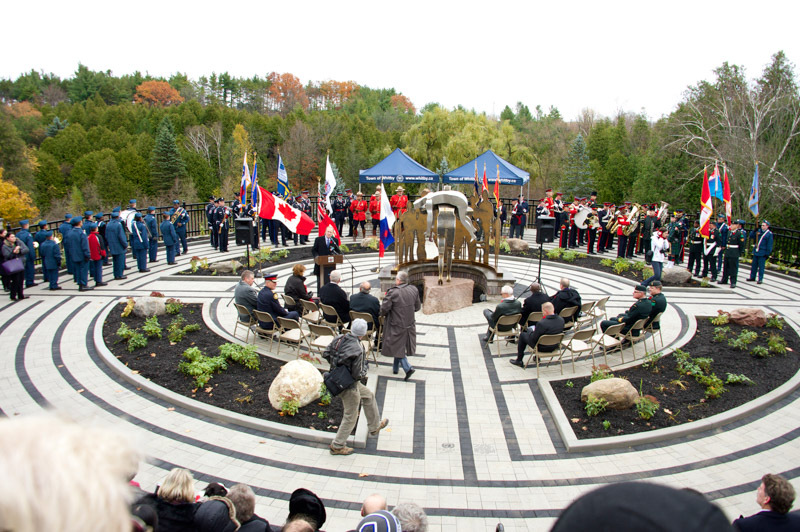 Located in Whitby Ontario, the Park of Reflection will be a living tribute to all of Canada’s uniformed service men and women who have become ill or injured in the line of duty. 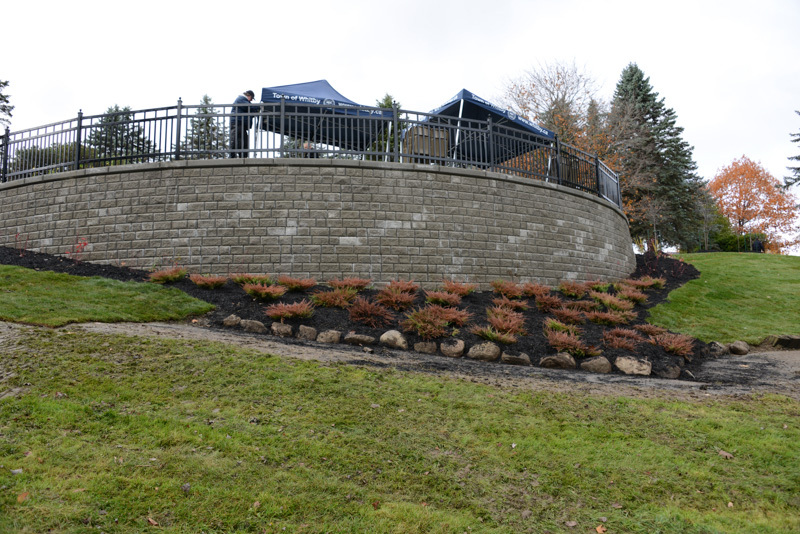 The park was designed for Wounded Warriors Canada, a not for profit organization dedicated to helping Canada’s ill and injured Canadian Armed Forces members, Veterans and their families who suffer from PTSD or physical injuries. The park’s design represents the sacrifice those in uniform and their families have made for the greater good of so many, both domestically and around the world. It also symbolizes their journey back to health. 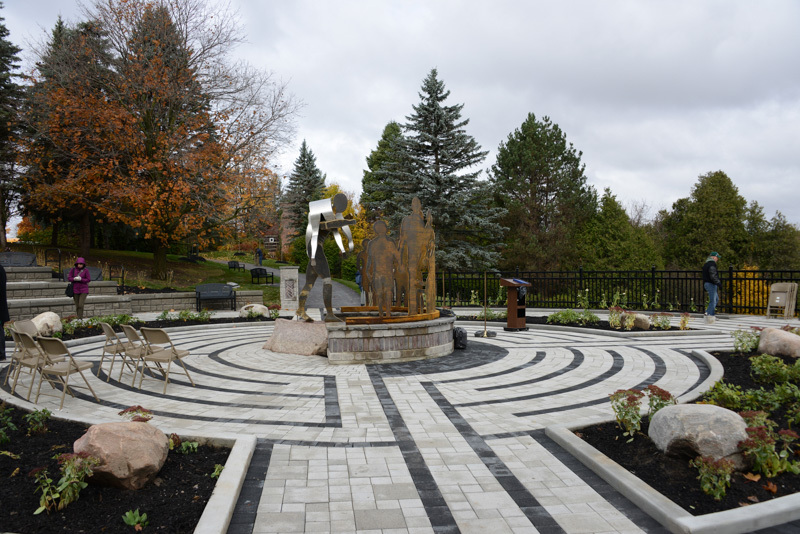 The park is filled with symbolic representations of the experiences the ill and injured have faced after leaving a life of service, while also demonstrating society’s ongoing responsibility to them in their time of need. 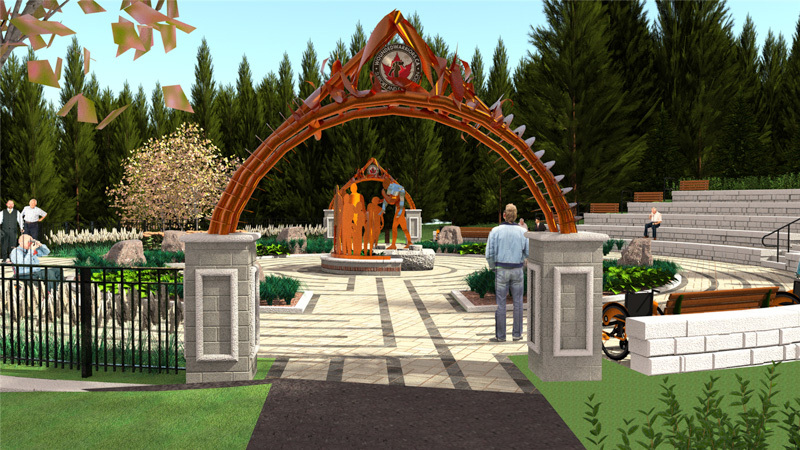 The park’s central sculpture represents a fireman’s carry into the waiting supporting arms of both the family and community. 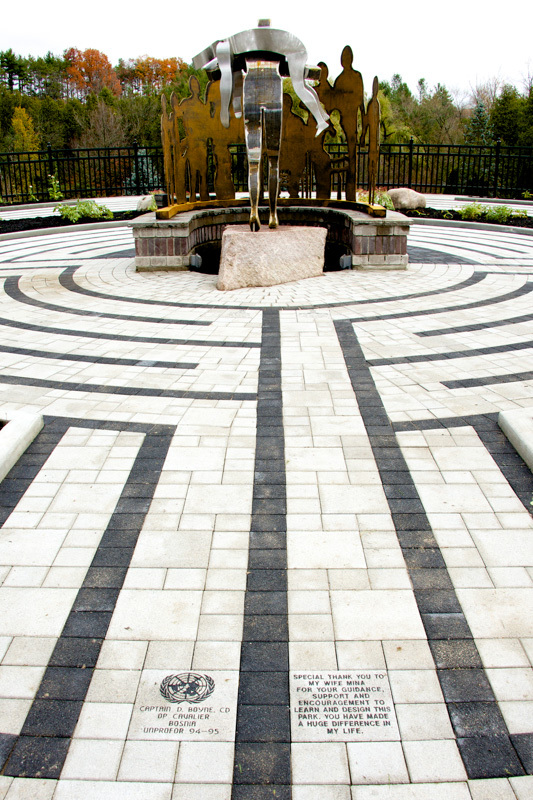 The park’s labyrinth depicts the journey to service and the journal back from injury or ill health – back to the family, back to community support. 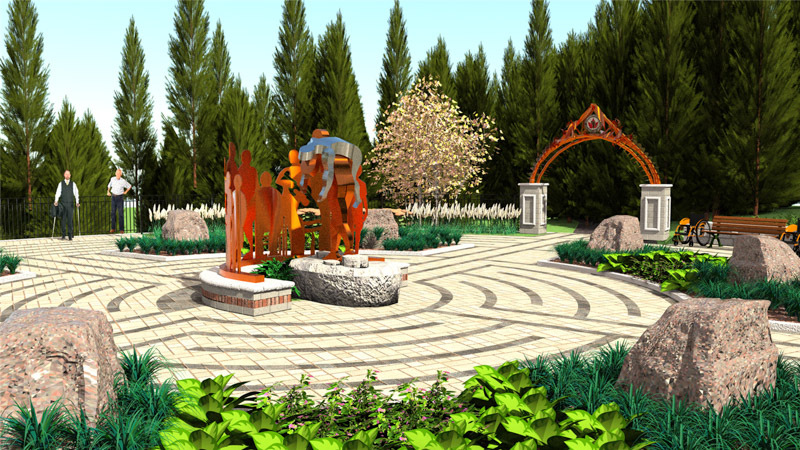 The entrance features also depict the trip from order to chaos back to order with the help of Wounded Warrior Canada. 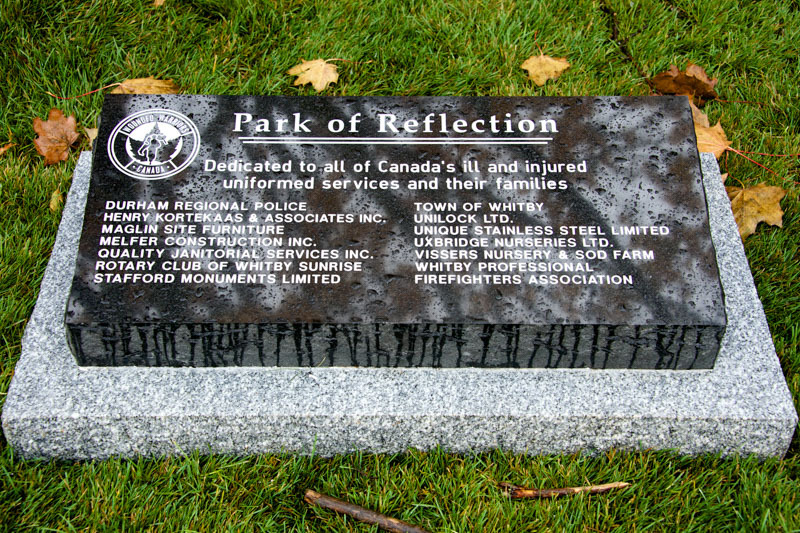 The park of reflection will be a place for all Canadians to visit, reflect, and remember.